A 5 story building transformed into a 360 degree panoramic stage of sound and video. 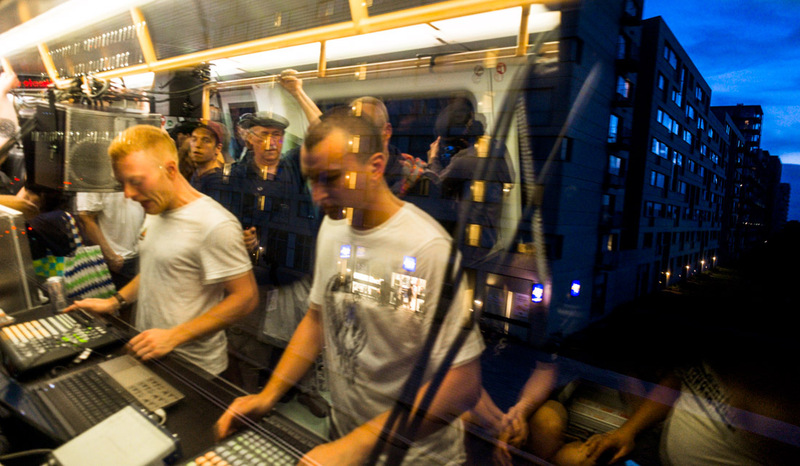 A metro train converted into a moving spectacle of live music, loaded with speakers. An underground grotto-like former water cistern became the Mines of Moria from Lord of the Rings, complete with Balrog. And the final party featured thousands of ravers in a park, a big stage, DJ school for kids, oh and a sauna and a hot tub. What is this madness? This is Strøm. 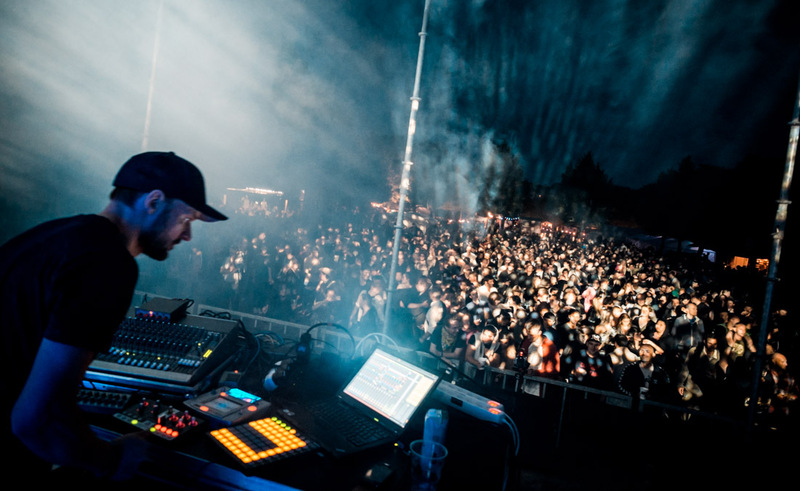 Strøm (Danish for power and current) festival is Scandinavia’s premier electronic music festival and features a wide and innovative selection of events, workshops and raves held all over Copenhagen. 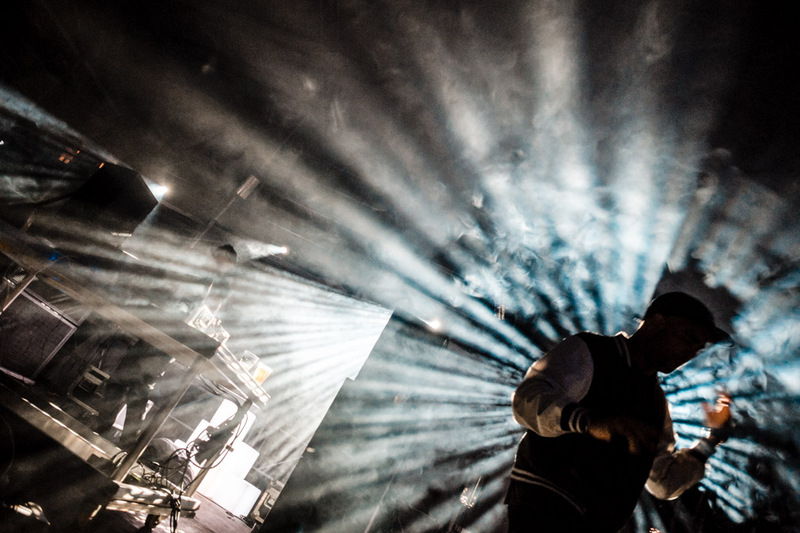 There is no festival like Strøm, it is a pleasure shooting for them and the events are often original. I shot for them in 2012, and in 2013 Charlene and I had an amazing week covering up to 4 events a day. Monday, on a cold night during an otherwise warm summer, our bikes took us to the opening concert – Panorama (watch great video). The circular building Tietgenkollegiet was the venue for a 360 degrees concert. The audience stood enchanted in the patio in the middle of the building, surrounded by Martyn Ware’s 3D sound system that featured speakers placed in several levels in a 360 degree arc. This let Mike Sheridan’s clasically inspired music flow towards us from all directions, the sound moved left and right, front and back up and down, subtly and beautifully. Every person got their own sound experience depending on where you stood. An otherworldly light show streamed out from the entire building, backlighting musicians placed in windows. Underneath a cold dark sky we experienced a one-off event where all elements combined to actually feel like magic. Tuesday, our bikes took us to Trans Metro Express, a Strøm classic (watch excellent video). 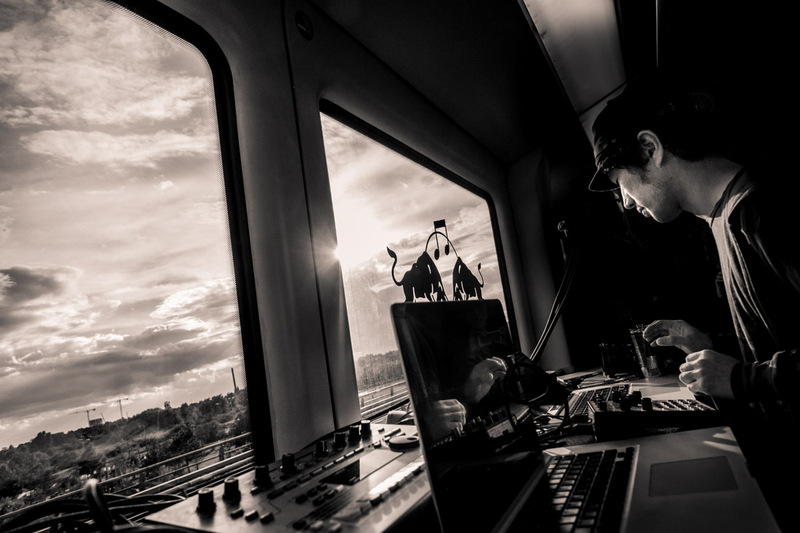 An entire metro train is outfitted with speakers, musicians play their specially composed soundtrack live as the train runs through the city and back again. 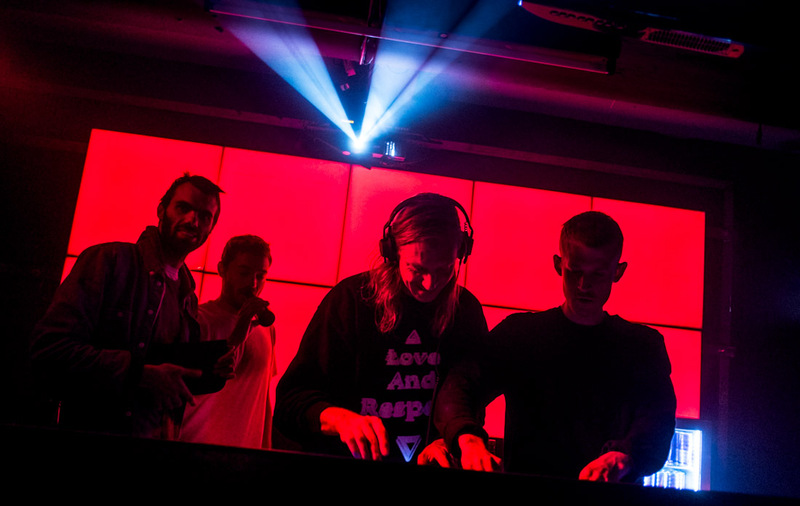 The music started slow and atmospheric and grew in intensity during the night, climaxing in a techno beat. 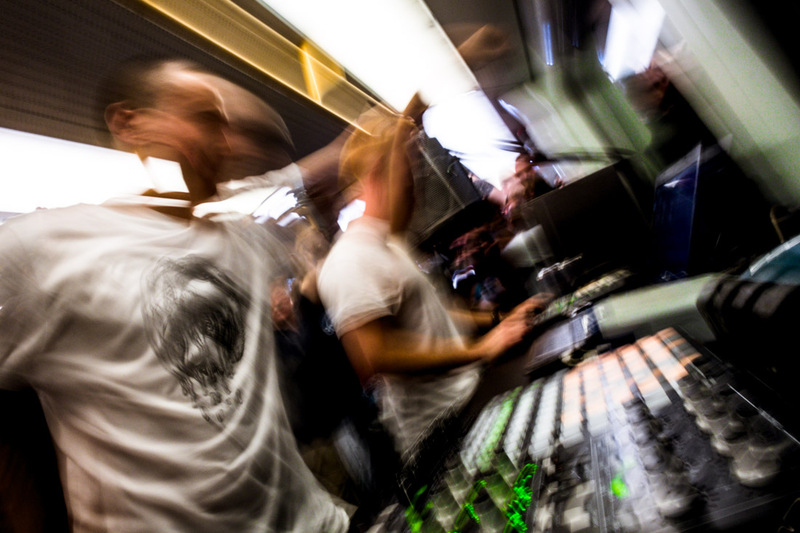 People waiting at a Metro station stand surprised as doors open to a packed train, music streams out, hundreds of ravers jumping making the train bounce. As the Trans Metro Express train leaves and the next normal train arrives they must be left thinking “did that really happen?”. 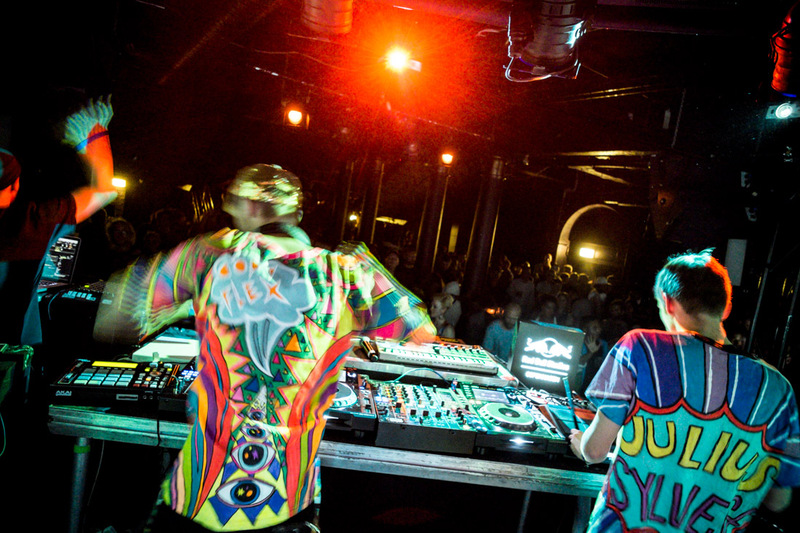 Rave on a train, there is nothing like Trans Metro Express. Wednesday, our bikes were busy, taking us to 4 events all over the city, including the end of the world. 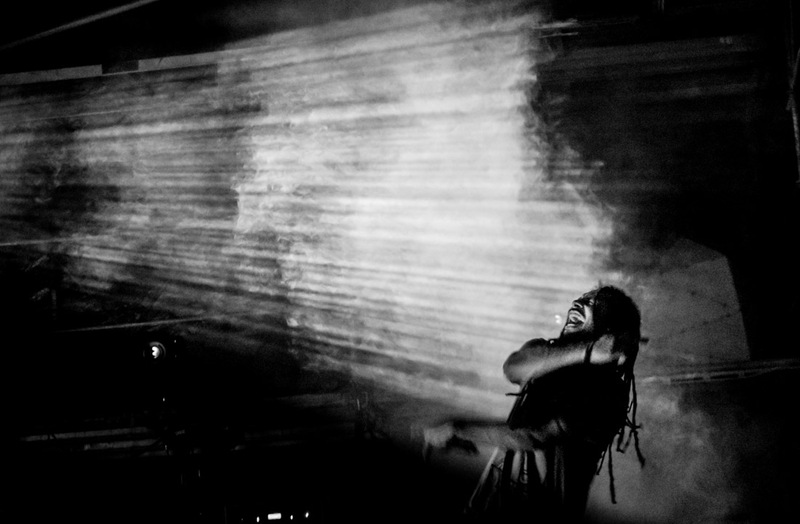 Haxan Cloak played a concert in Cisternerne, a huge underground grotto which used to be a water cistern. Imagine the mines of Moria from Lord of the Rings, then add the sound of a Balrog chasing you, and scary statues appearing out of nowhere blocking your escape. 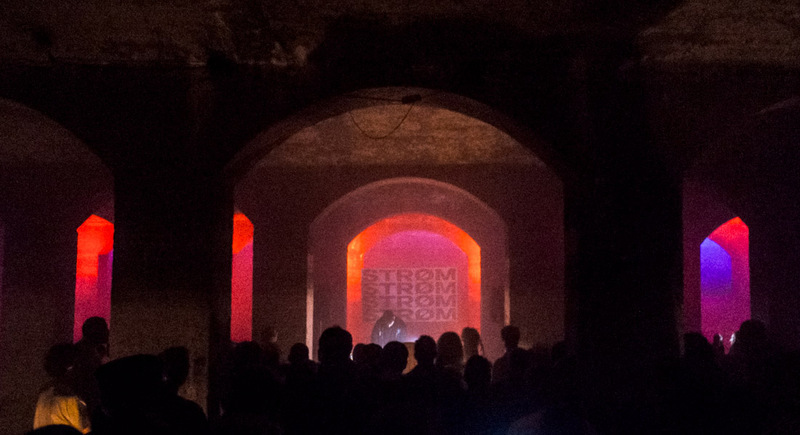 Haxan Cloak played earthshaking bass in a pitch black underground cistern, only lit by strobe lights. It was pure madness. Having to walk around this grotto and shoot pictures, trying not to walk into people or statues nor fall into holes, only able to see by strobe light every other second, wreaked havoc on the brain. After 30 minutes of photography we were so dizzy we had to escape the Balrog and head for the surface. To find the world still intact was something of a surprise. After having been to the end of the world and back, we were shooting the excellent Rosa Lux and When Saints Go Machine at Culture Box and knocking back a few drinks to settle the nerves (you try being chased by a Balrog). Rosa Lux played a very funky vocal driven techy-edged house warmup set, that had us dancing and shooting at the same time. 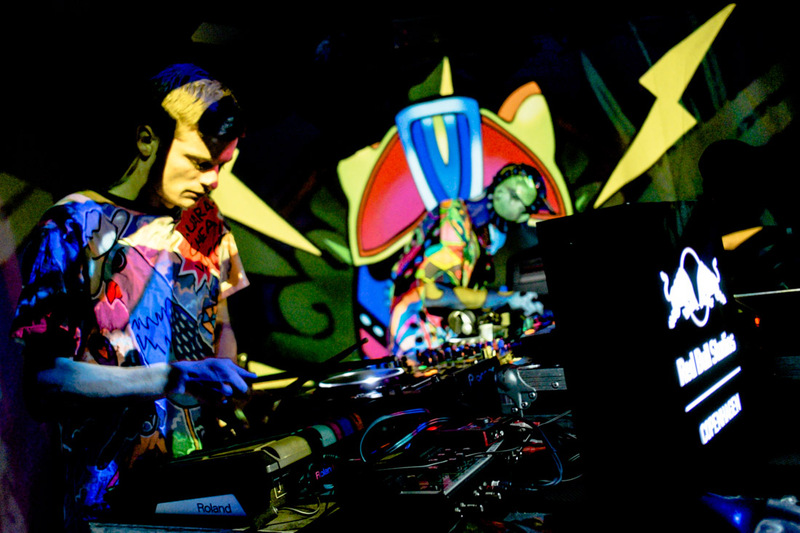 A rare DJ set from the When Saints Go Machine guys saw them digging deep in the electro corners of electronic music. 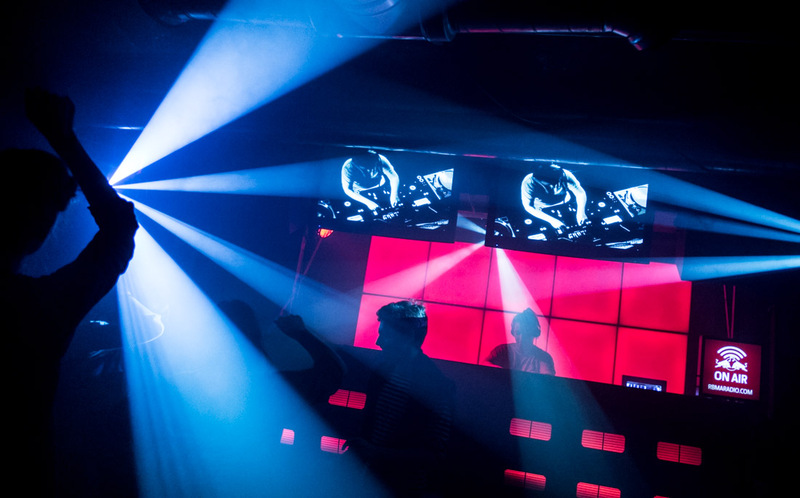 Culture Box is an excellent club and the music and lighting was outstanding, so were the drinks and maybe – so are one or two of my pictures. Thursday our bikes and slightly tired legs only needed to take us to 2 events, close to home. 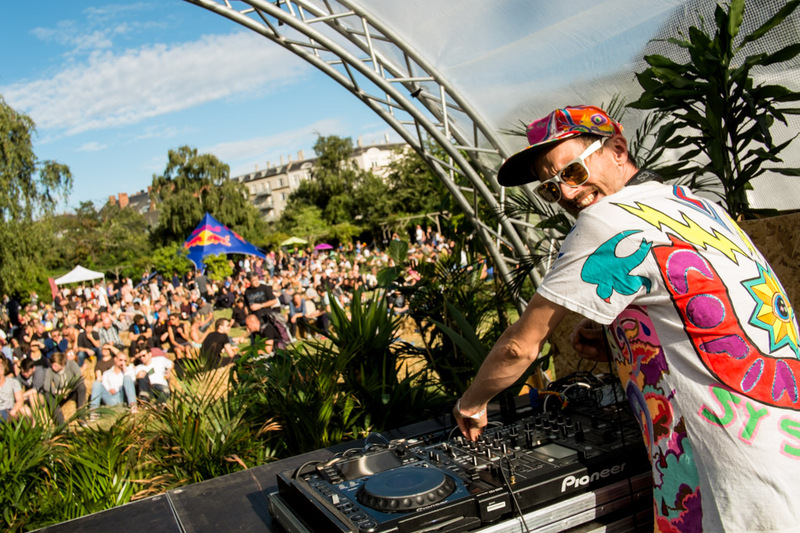 The last event of the day featured our friends, Copia Doble Systema playing alongside Buraka Son Systema. Copia Doble always rocks it with their viking meets tropical cumbia bass live sets, one of my very favorite bands and this was a good opportunity to get some close-ups of them on a small stage. 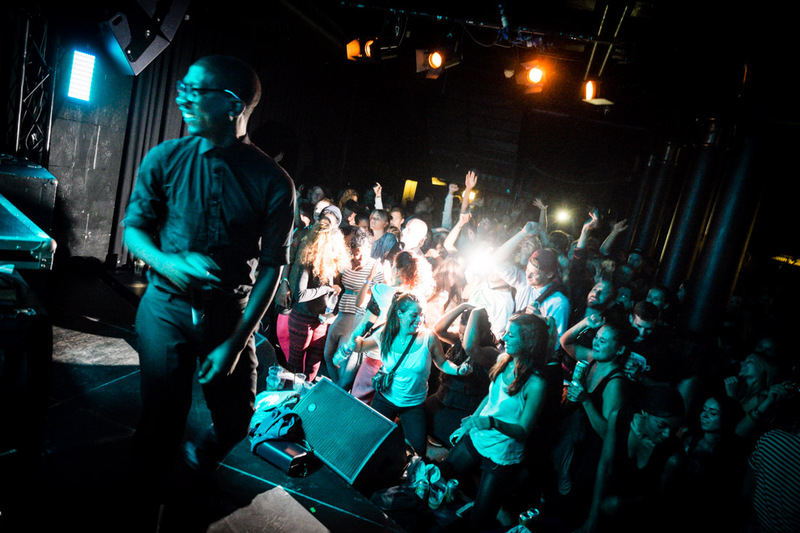 What most impressed me about Buraka Som Systema and their techno beats meats African zouk was MC Kalaf, rarely have I seen an MC who so expertly and effortlessly whipped the crowd into an ecstatic state of frenzy. Saturday, our bikes received a well deserved rest as the massive Final Party took place in Enghave park, a 5 minute stroll from our rental flat in Copenhagen. 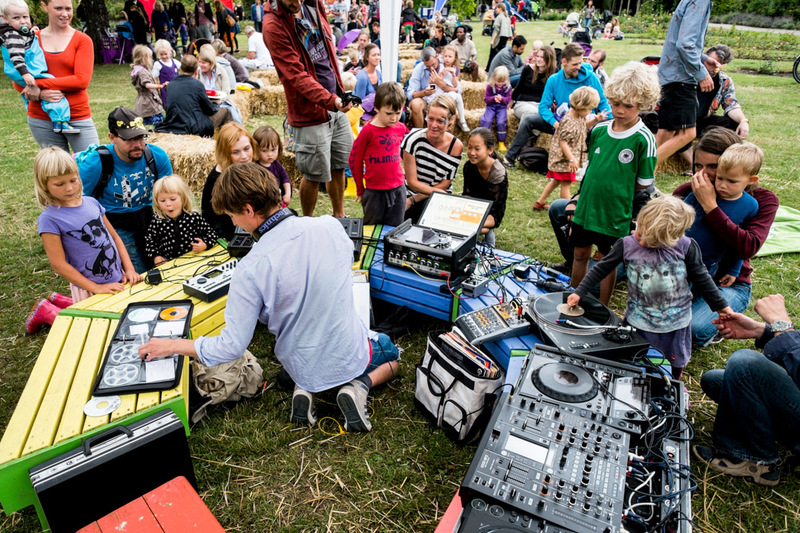 At noon, Rumpistol mesmerized children of all ages with his Strøm for Kids, back to the future DJ school. To see a wide eyed 3 year old kid touch a spinning record was wonderful. 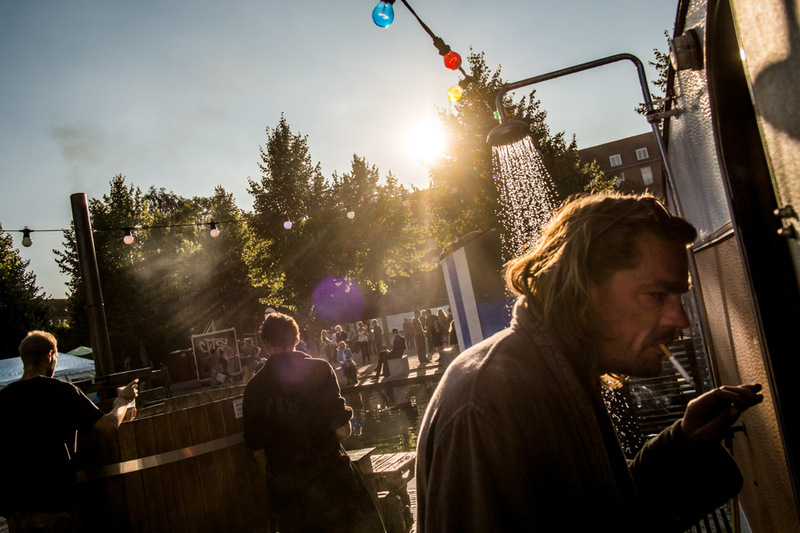 The Final Party continued with everyone enjoying music under a sunny sky on two stages. The sauna trailer van and outdoor hot tub were popular pit stops in the middle of the park. Rockwell feat. MC Mantmast ended the night with intense drum n bass. To stand on stage and capture thousands of people bathed in light spots and dancing in front of the main stage was a huge thrill. Strøm 2013, I salute you. You set the scene, we all made it magic. 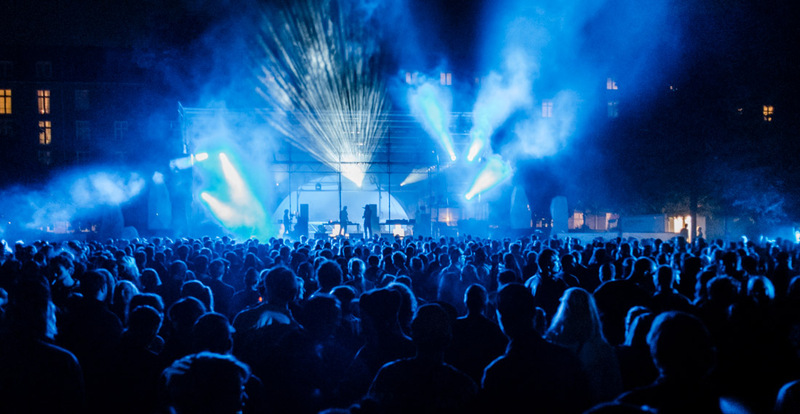 Strøm 2014 runs from August 11-17 and I fully expect to yet again have all expectations blown. 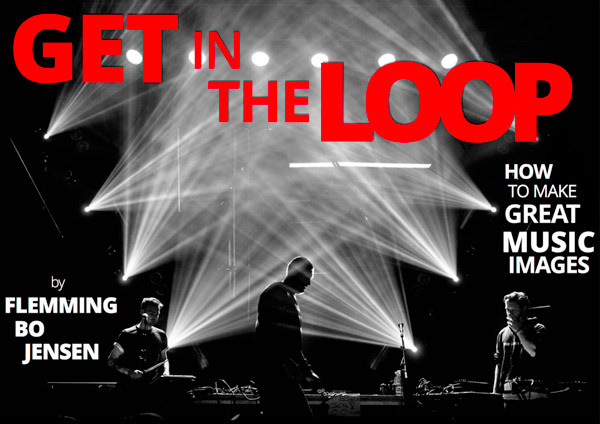 Come and join us, bikes, cameras, musicians, ravers at the ready. A big thank you to everyone at Strøm, all the artists and everyone at Red Bull Studios Copenhagen. Damn, that first picture is effing sensational. One of the highlights for me were Martyn Ware’s talk about his work. Knowing nothing about anything that goes into music, it was really quite astounding to listen to him speak about his work with 3D sound, and why it was significant, and then see it in action at Panorama later that night. I’m sure the subtler nuances of the whole thing were lost on me, but it was an outstanding experience nonetheless, truly enchanting. Haxan Cloak at Cisternerne was memorable only because I’m sure I was mildly concussed during that half hour. That was definitely far out. Other highlights for me: Rosa Lux at Culture Box, and Strøm School with Rumpistol (next time, I’m getting in there with the 3 year olds). Copia Doble Systema are a good show no matter where they perform. Go Copyflex and Julius! Martyn’s talk was so good, especially his work with the psychological effect of music on crowds as in the Brighton (I think) example. wow the pictures are describing the whole event…I am really wondering how to catch it up next year! Thanks and you should! 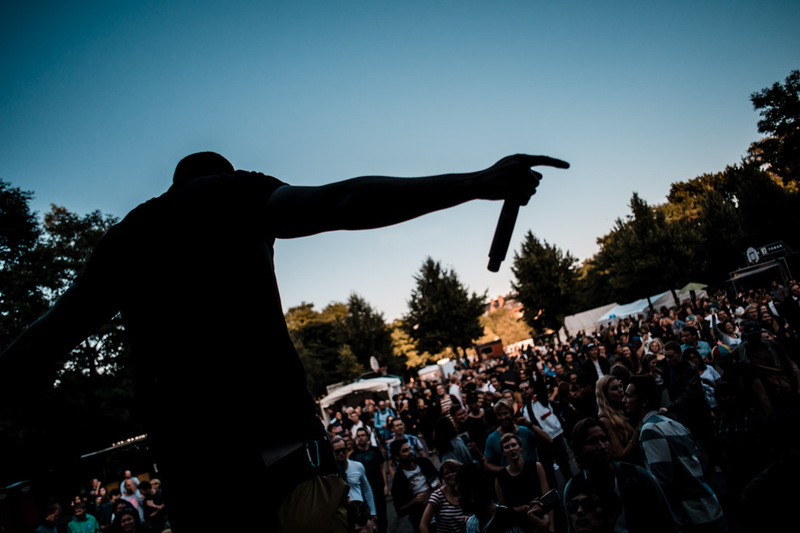 Nothing like Strøm festival.